TODAY IS THE LAST DAY OF THE YEAR 2011.. WILL YOU HELP ME? Happy successful, healthy, wealthy, creative blessed New Year for 2012. I am speaking good things for you! I hope all your dreams come true and your nightmares you have been experiencing in 2011 go away ! Jump on the bandwagon with me to ONLY BUY MADE IN USA? I know sometimes it is totally impossible to get something you need that is no longer made in the USA. I will be searching ALL year long for products that are only made in USA.. If you need something flip it over and if it says MADE IN CHINA or any other place LEAVE IT THERE on the shelves. Visit the junk and antique stores. Dry Creek that Jerri Wood owns here close to me has some beautiful things reasonable priced and guess what a big majority MADE IN THE USA. Of course many years ago our cities had factories that were booming. 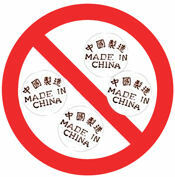 We have MADE IN CHINA ourselves out of jobs. Shop the thrift stores, antique, junque stores.. Give the old things from years ago new life. We are suffering here in the USA. A lot of folks holler the president this and that.. The president whomever he or she is can not do a thing unless Congress gives the OK.. They are the ones that run the country. We are the ones that worked ourselves and family members out of jobs. If you went in a store and left something sitting there until it rotted or 3 inches in dust because it was made in China or some other foreign country don’t you think things would change? YOU AND I have MADE IN CHINA ourselves , our friends and family out of a job. Yes I know it is cheaper but we have too much stuff. When you see storage building up and around town because people HAVE TOO MUCH STUFF and have to rent a building to store it.. Well that is a d*** shame! No wonder other countries hate us. We have zillion pairs of shoes and some people here even in the USA much less other countries have hardly anything. I think we all including me need to do some soul searching! In this house with just two of us I am ashamed to say I have 5 complete sets of dishes. Now I want you to tell me why I need 5 sets of dishes? I did inherit 4 sets and all 4 WERE MADE IN THE USA many years ago. You know what. I am making my things last. Do I care that if you come here to eat your fork does not match mine. I sure do not. You just count your blessings I offer you anything to eat due to my cooking dislike. I am really going to try to make do with what I have. That is one resolution I have. I AM GOING to flip that product over and if it is not a life and death situation I AM LEAVING IT THERE ON THE SHELF. What got me started on this was today I received an email from a fabric company about a big sale on fabric. You have to have a wholesale account with them to order. I emailed the customer representative back and asked her was the fabric made in the USA. A few were but most were made somewhere else. You know sometimes if we want something if we sit on it for a few days our wants leave. I have a room packed to the brim of fabric. Was most made in the USA I doubt it.. But I can’t go back and change anything I have done in the past. But I sure as heck can go forward and change what I do in the future. I know there are going to be times when I have to purchase something that was made elsewhere. You can’t avoid it. BUT I CAN SURE LEAVE MORE ON THE SHELF THAN I BRING HOME. Will you band with me and think before you purchase??? Do you think if we started emailing, writing and faxing our representatives that we could make them make a difference and stop some of this bringing in from other countries and put our folks back to work. MADE IN THE USA FOR ME! 6 Responses to TODAY IS THE LAST DAY OF THE YEAR 2011.. WILL YOU HELP ME? Yaaay! Love this post – some people think i’m nuts when I boo-hoo this very subject, but some DO listen! I, for one, am going to try harder this year to buy EVERYTHING made in the USA! Thanks for reminding me and getting me off to a good start in this regard. I will pass it along! I love shopping the consignments and thrifts. With our consignments, I find things that aren’t available anymore and the money goes into someone who lives in the area, so helping that way too. The salvation is a great place to shop too, and I like that the money goes to those in need. I hate shopping new stores, usually over priced junk, but sometimes I do need something that has to be new. Debbie St.Germain´s last blog post ..Happy New Years! AMEN SISTA! I will admit that in the recent past I have done most of my shopping from catalogues.Part of the reason was the price they are generally cheaper, and easier for me to shop. My husband,while he is a man–enough said–is wonderful to me. He h owever hates to shop. He will take me but is no fun..I usually have a list. But he is just going to have to get over it I AM ONLY BUYING USA. Make sure when you pick it up.. IT SAYS MADE IN USA and from the looks of your “vault” you could start your own clothes store!!! LOL and purses too, just saying!!!! It since you can’t get out like most of us.. you are forgiven for having to buy where you have to..It is the ones of us that can jump in the car and head out and we always go for the Made in Somewhere else NOT USA..
Stay tuned on here for sites that offer MADE IN USA!! I sure am searching them and posting them for all to see.